Herbal medicine is women’s medicine. Traditionally, the wise women in certain cultures knew the plants that would assist them in becoming whole emotionally, spiritually, and physically. Come reconnect to the wisdom held in your bodies in this beautiful workshop designed to address common health concerns in womb health and pregnancy. 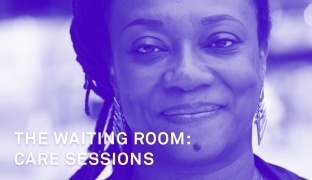 This workshop is offered in conjunction with “Simone Leigh: The Waiting Room.”. All care sessions will be open to the public free of charge and will take place on the Fifth Floor. Unless otherwise noted, participants must sign up in the New Museum Lobby half an hour before each session to attend. Space is limited, and admission is available on a first-come, first-served basis.